J. Press knows how to look their best in cold weather, producing this Harris Tweed sack-style sportcoat from their Presstige line. 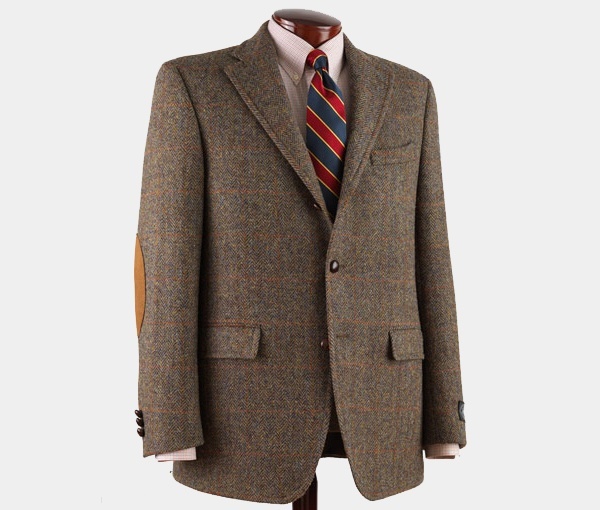 Featuring a button-on-center design, notched lapels, and of course suede elbow patches, this tweed coat is a fine choice for the stylish young man who enjoys all the respectability, warmth, and style that tweed can bring. Available online now. This entry was posted in Sportcoats, Tops and tagged Harris Tweed. Bookmark the permalink.